Saugerties is rolling out the Red Carpet to welcome NYS S&W visitors when they kick off the weekend at the Indie Untangled Trunk Show at SPAF on Friday, October 19. 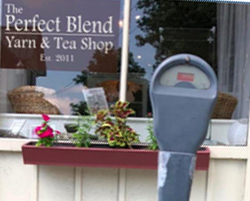 To help provide a colorful welcome to the Village we invite you to join us in yarn bombing all the parking meters in Saugerties! Installation of yarn décor will begin on the 1st Friday of October. There are plenty of poles for everyone to participate! Pole number assignments will be given out from the Shop; please call (845) 246-2876 to reserve yours. 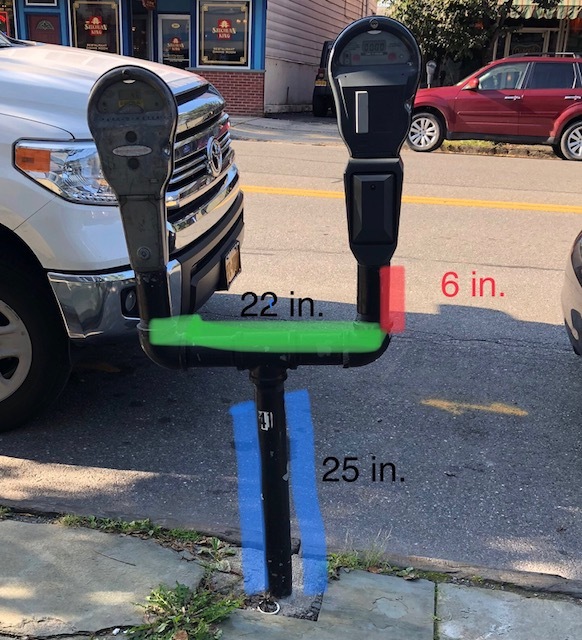 The working parts of the meters must remain visible and accessible. The official yarn bomb installation will begin on Friday, October 5th to coincide with First Friday in Saugerties. They may be installed any time that day and into the evening, and any day thereafter thru Oct 18. 2. Please be sure that the working parts of the meter are clear so that money can be inserted and the collection box can be opened. Crochet hook and/or tapestry needle for attaching your creation, scissors, a knee pad or rolled up towel to protect knees and clothing if you need to kneel on the sidewalk, 14" zip ties to securely attach to the post (we will have some at PBYS), a headlamp or flashlight if you plan on working in the evening. So Get Busy! And stay tuned as we assemble our our squadron of yarn artists! All yarn bombing will be removed by end of October. For additional inspiration, we invite you to take a stroll down memory lane and revisit our community yarn bombing efforts at Clermont~ click Here. Or Here for more photos of yarn bombed trees and poles, and Here for a Yarn Bombing demonstration.